At a recent open discussion between the Trust and invited employees, we engaged in a discussion group where we were asked how we would express our support of the values the Trust wanted us to espouse. Unfortunately I think this epitomises the failure of Clinical Leadership. 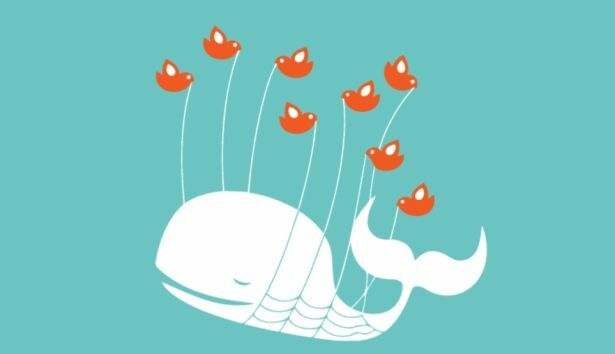 There is leadership, there is engagement, there is opinion seeking, there is discussion, there are shared values and there is a great big Twitter fail whale. The engagement is almost totally one sided. The discussion revolves around decisions already made. The values are decided by one group and “shared” with the other group as de facto. This is NOT clinical leadership. It disappoints me that others should think it so. A long, long time ago, just after 7.30pm on a Thursday we “did” a play at school called, “The Real Inspector Hound,” by Tom Stoppard. It was quite an undertaking for many reasons not the least that it was the first acting I had ever really done, it involved actual kissing on stage (I was 15 at the time!) AND me getting hit by an occupied, speeding wheelchair every night for four nights. Fiona Lindsay went on to great things after our on stage kiss, (“Don’t say anything for a moment; just hold me” gets me every time) and I was left with more than just significant bruises; but I blame Jonathon Smith who was piloting the wheelchair. The play is actually a lot of fun and revolves, quite literally, around a murder mystery plot, the actors, Inspector Hound who is investigating the murder and the critics who are viewing the play. I won’t spoil the ending for you but you have to pay attention. The strangest part of this essentially strange little play is that for the whole of the first act there is a dead body lying right in the middle of the stage. The whole cast are completely oblivious to this and carry on with a cocktail party and bizarre game of cards right up to the point at which Inspector Hound, who has been sent to investigate the murder finds himself stood on top of the body. My journey into Clinical Leadership continues and I can share with you now that it hasn’t been straightforward. Master Po of course would have explained this to me more prosaically suffice to say I am encountering various challenges that I am sure will make me wiser in the end. My enduring question has been regarding the nature of the interaction between clinicans and management. Various comments and colleagues have suggested that I have approached this problem from a negative and unnecessarily personal perspective and that the reality is far less disparate than I would portray. As I prepare for an assignment for the course I have discovered an article that at last begins to mirror and more eloquently describe some of my poorly expressed thoughts on the matter; “Clinical Leadership: the elephant in the room” John Edmonstone. I hope to discuss the whole paper in much more detail in later posts but in summary it describes the author’s contention that the concept of clinical leadership although frequently discussed and even formally studied (sic) it is not actually well defined. This is partly due to the divergent views of what clinical leadership represents: an essential and intrinsic part of clinical practice or a block to innovation and change. Edmonstone further contends, and here I would full support him, that this dissonance is principally due to diametrically opposite views on the nature of the organisation which then extends into totally contrasted views on the nature and delivery of health care. Interestingly, in the play the exact identity of the body causes significant confusion and actually turns out not to be who we all believe it to would be. This adds to the overall farce as it is in fact two people and their roles are central to the play itself. The point I am struggling towards here is that the body laid in the centre of the room and almost totally ignored by the cast on stage represents clinical leadership in the discussion around medical management. I believe the role of clinical leaders needs thorough investigation, that their position and influence within the management of the NHS has to be re- addressed and embraced rather than simply ignored as “the elephant in the room” because what they bring to the discussion is not simply negativity and a block to innovation but an intrinsically different and important view on the value, purpose and practice of the organisation. The failure to even acknowledge the body is a principal cause of the disconnected hierarchy that now exists and the serious disquiet between clinicians and management. If you’re such a good doctor, how come you want to be a manager? I remember being in Mr Gordon’s class aged 12 and telling both him and my peers that I wanted to be a doctor. I don’t know if I actually knew what that meant more than “helping people” but over the next 24 years I have struggled through Med School and the rigours of surgical training to reach my current position as a Consultant Surgeon. Within that role I have been steadily progressing for eight years. In all humility, I am actually quite good at what I do. Why would I want to stop doing that and take on a role in management? The dichotomy of clinician management is significant. Many clinicians feel that “management” are completely out of touch with the reality of medical practice and that this role is best filled by someone with knowledge of the discipline. The discipline of management, whether an art, a science or even a black art, is clearly not covered in any detail in the training and practice of medicine. It is similarly clear that clinicians cannot simply step from, say, an operating theatre, into a committee room and hope to practice with the same élan. If we require our management colleagues to be trained, then shouldn’t we as clinician managers match similar criteria? Assuming this is resolved, there are many other significant issues to be dealt with. If management is so important, then it is also important to devote appropriate quantities of time to the role. Relinquishing hard earned and valuable clinical skills seems iniquitous on both a personal and organisation level and yet neither tasks will be effectively carried out on a part-time basis. 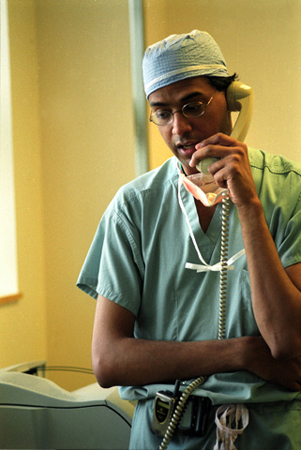 Is it possible to be both clinician and manager? Authority of this management role is neither implicit nor uniform. Often clinicians of lesser experience take on positions that are imbued with an authority that itself may not be respected or accorded by more senior colleagues. The history of the clinician/management interface is one of many pitched battles, multiple casualties and much propaganda often the fault of the system rather than the protagonists. Students of management are clear that futile application of inappropriate strategies over the past decades has resulted in a deep mistrust that underpins many subsequent interactions. It is often held that the two sides actually have completely divergent aims and thus achieving a common purpose takes even more skill than would be required in a profit seeking organisation. Is it possible to undertake a role where the ultimate goals of the protagonists are so disparate? It is clear that clinicians are required to be involved in clinical management and that to do so requires a commitment of training, time and loss of clinical skills. The task is rife with historical prejudice and the rewards are not clear. Why exactly would someone take on such a role? Anything else other than a simple description? The Ladder of Inference, originally described by Agyris and further developed by Senge in the book The Fifth Discipline Fieldbook looks into our perception of the world. From the information provided we select pieces of data. Upon this assumptions are made and then conclusions are drawn. These are then filtered according to beliefs and understandings of our world and ultimately actions are then taken. Diagram here. 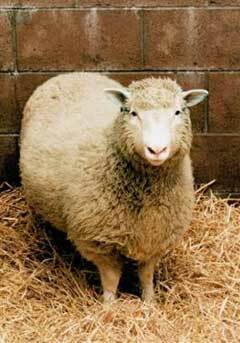 Going back to the photograph provided I would expect most people would recognise a sheep. Was it a happy sheep? Did the straw make you feel comfortable about the sheep’s well-being? How about the backdrop of bricks? Is that her pen or even the slaughterhouse? Did you perhaps recognise the image as one of photos that changed the world? If you now recognise “Dolly the Sheep,” does that change how you feel about the image and perhaps how Dolly was “conceived” and even your feelings about how long she survived and ultimately died? Of course it does. 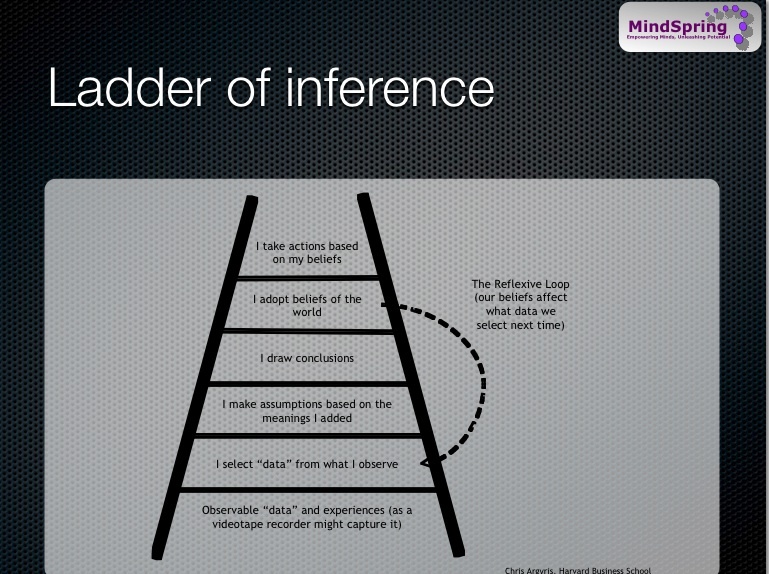 That is the ladder of inference. It affects every single piece of information and interaction we have and we must be aware how our perceptions change. Going back to the sheep, do you now feel positive or negative about her? Does the brick wall of the pen make you angry that she wasn’t allowed to roam a hillside or knowing that people vowed to kill her make it understandable she had to spend all her life in secure circumstances? This is how information changes our perceptions. Clearly, in all our interactions, whether they are social or professional there is a ladder of inference. The temptation of “jumping to conclusions” based on previous experiences and interpretations, each with their own inference, must be addressed. In order to overcome these, we first of all should critically accept the existence of such perceptions and then utilise both inquiry and advocacy seeking the true, rather than filtered or blinkered data from the source before make our actions explicit and understandable on the basis of the truth. Leading by example may encourage others to do the same. I’m not the first and I won’t be the last to make that statement however shocking it might be to Daily Mail readers; the NHS is a communist society. Both in terms of the true Marxist concept and sadly too in the outworkings of post totalitarianism the NHS displays many characteristics of communism. everyone was eligible for care (even people temporarily resident or visiting the country). These tenets, buffeted by time, financial turmoil and even the Iron Lady herself have remained intact and a rally cry since the inception of the NHS in the late 1940s. We should be very proud of what we have achieved and work in, even despite our current concerns. Regular readers should note that this is a fact, not metaphor or analogy. Those latter terms however might be easily applied to the politburo type structure of governance that is totally contrary to the original concept, to the inability of central government to fulfill major tasks such as Electronic Patient Record, to totalitarian approaches to infection control, to funding overall and to many other topics we return to like poor jazz musicians riffing forever on the same chord sequence. Please add your own metaphors in the comments section. I wonder if this communist structure and ideal throws further confusion on the concepts of management and leadership when applied to health care? The initial market philosophy of Griffiths and his “new public management” clearly did not work and was reviled by many within the organisation. Even despite the subsequent radical changes in approach and terminology incorporating and understanding of the concepts of a managed professional bureaucracy I wonder if the basic communism of the whole is actually part of the reason that management is so difficult and in particular the interface between clinicians and management so abrasive. The NHS is a communist society. We have to accept that and incorporate that into our management strategies and understanding, Comrade.